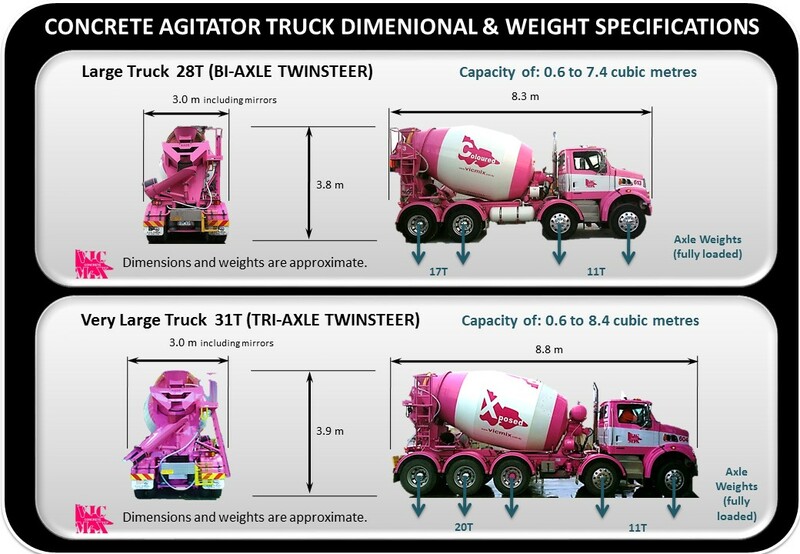 Modern Concrete Trucks - a Marvel of Mixing Technology! 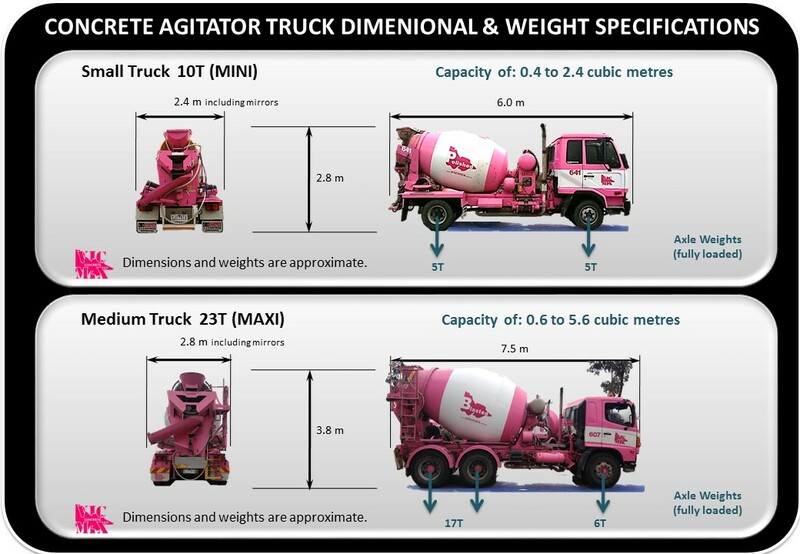 Can you imagine a Concrete Supply business without the Modern Agitator Truck? At Vic Mix, we haven't forgotten how far the industry has come and the importance of good performing and well maintained transport vehicles. In fact, we often consider ourselves a Transport Company first and a Concrete Company second. After all, the ability to efficiently and reliably manufacture load after load of concrete has become inextricably linked to the capabilities of the Mixer Truck. The concrete truck maintains the material's liquid state through agitation, or turning of the drum, until delivery. The interior of the drum on a concrete mixing truck is fitted with a spiral blade. In one rotational direction, the concrete is pushed deeper into the drum. This is the direction the drum is rotated while the concrete is being transported to the building site. This is known as "charging" the mixer. When the drum rotates in the other direction, the Archimedes' screw-type arrangement "discharges", or forces the concrete out of the drum. From there it may go onto chutes to guide the viscous concrete directly to the job site. Our Fleet is made up of many different sizes to suit all projects big and small. Here are the Dimensional and Weight Specifications. If your project has dimensional or weight restrictions, its useful to consult this information or get in touch with us for further help. We love our PINK Trucks and they provide our business with a moving billboard. So, here are a few images we hope you will enjoy.